Working from home is an awesome perk. It has lots of upsides like a manageable work-life balance, zero commuting which saves a lot of time and energy too. Contrary to popular belief it is not completely boring and difficult to achieve a professional environment at home if you know the right tricks. 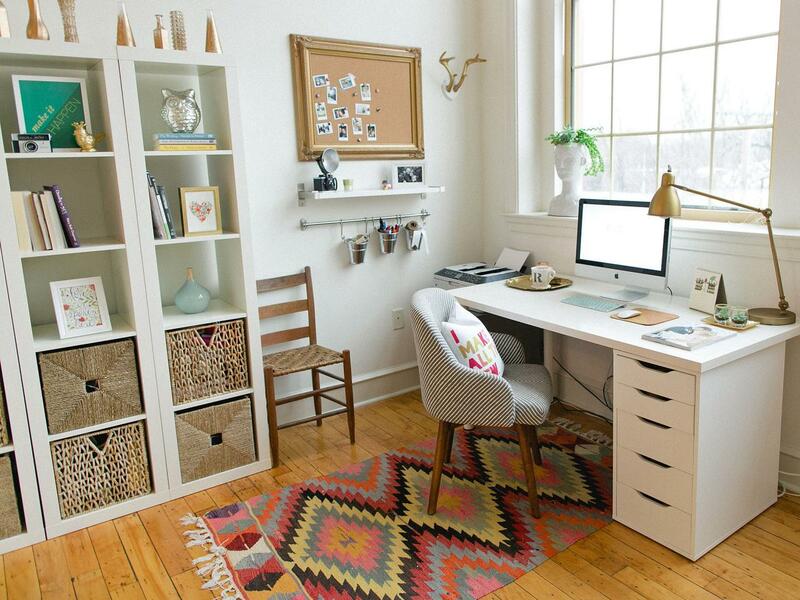 If you have a quiet and small space in your home, you can transform it into your professional haven. This transition demands nothing but a little bit of creativity and design with intention. 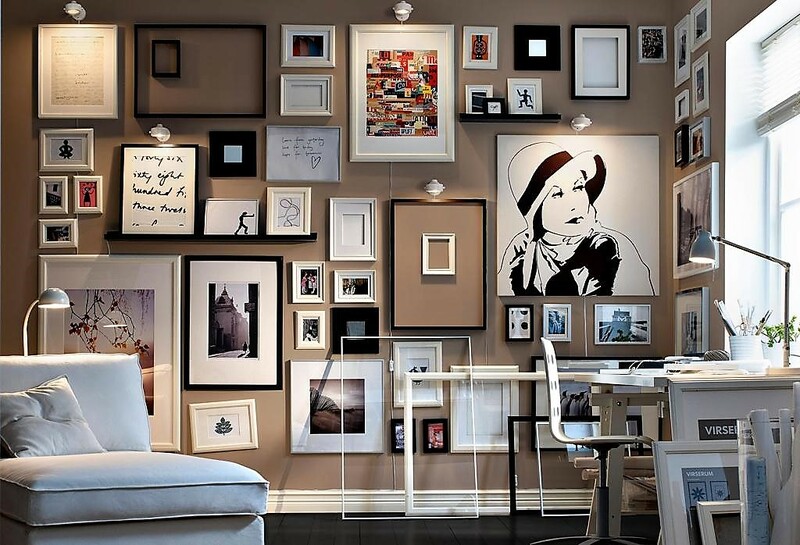 Below you will find some great home office ideas from well-renowned interior designers that are beneficial for everyone who is looking for some inspiration. 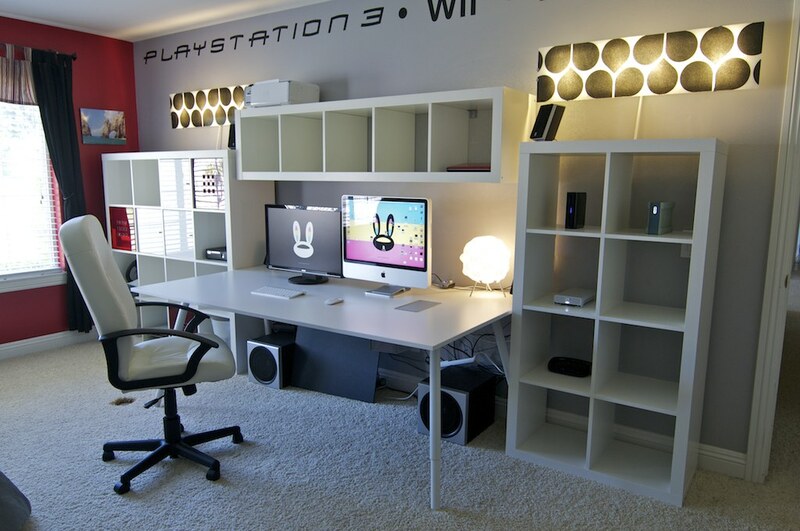 These ideas will help you create your personal home office which makes you happy, let your creativity flow naturally and makes you crazy productive. In this era of social media, there is no dearth of creative ideas and inspirations. But what is worth keeping in mind is not every theme and suggestion is meant to serve your purpose. The offices in design magazines may look attractive, but they are not set up to suit 50-hour work week. Who said your working environment has to be dull and drab? 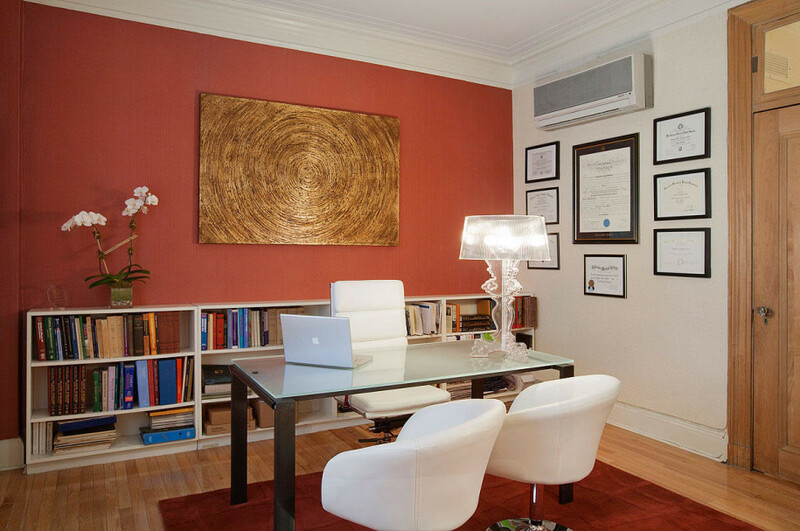 Color is a fantastic way to bring positive vibes to your home office. It can uplift the mood entirely and provide you a pleasant ambiance. But you may want to be careful how you use it. According to many interior decorators, too much environmental stimulation can be its own form of distraction. Thus, incorporate rugs in interesting color combinations, framed arts in soothing tones or some accessories like a compact console to spice up space a little bit. There are some rules that are meant to be broken and some that are meant to be adhered to. The top of your computer screen should always be at your eye level. When you are reading or looking at the screen, it will make your eyelids close a bit and moisten. This reduces eye fatigue. A cleverly selected storage option can prove to be highly beneficial. It provides you the space to put all your papers in one place. The biggest issue that people face with home offices is that you wind up with your papers scattered everywhere. You can use beautifully crafted bookcases, wall storage racks that are spacious and artful enough to make your space completely stunning. Embracing natural light is great as it gives you the maximum benefit of residing close to nature. You can take your eyes off from the screen and look outside to soak up the warm golden rays of the sun. But when it begins to get dark, you will need additional lightening to keep you going with the deadline. Incorporate table lamps, which offer an interesting design, structure and a soft glow of light along with a dash of luxury. Take cues from the above-mentioned styles and designs to give your home-office a perfectly synchronized look that will make you get up every morning with great zeal.